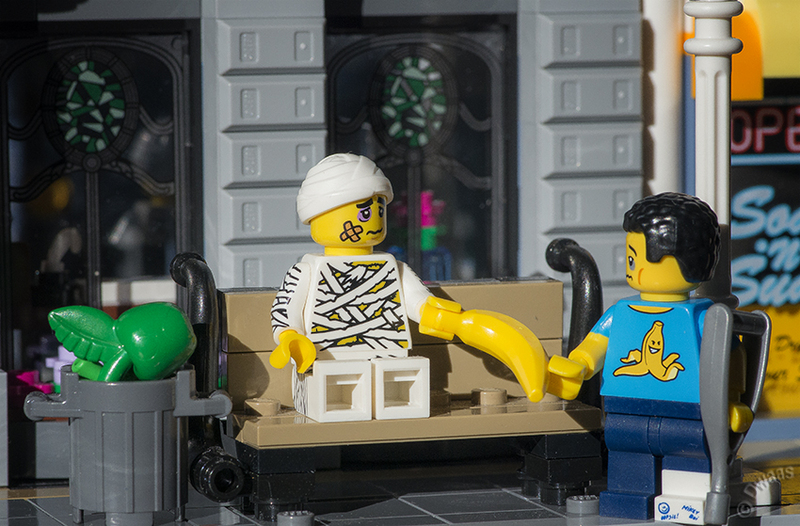 As you can see, there are some risks involved being a member of the I-love-bananas-club. But what else can they do… they hate apples! As a side-note: the one on the bench really needs to go back to his physician. His bandages look a mess! I the Netherlands they used to say that apples kept the dentist away too…. but as it turns out the acid in apples is very bad for your teeth. Who know what apples do to you!? Weren’t apples the reason Adam and Eve were thrown out of paradise? I think I’ll take my chances with bananas!